China changes one child policy and families can now have 2 children each. 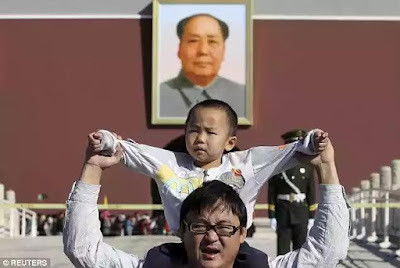 China have announced the end of its hugely controversial one-child policy today, with official state media confirming that all couples will now be allowed to have two children. Beijing to chart the country's plans for the next five years. Despite being the world's second largest economy after the US, there have been growing concerns over China's ageing population since the one child policy was introduced in 1980. The radical family planning policy was adopted to reduce the country's high birth rate. The policy restricted most couples to only a single offspring, and for years authorities argued that it was a key contributor to China's economic boom. But after years of strict, sometimes brutal enforcement by a dedicated government commission, China's population - the world's largest - is now ageing rapidly, gender imbalances are severe, and its workforce is shrinking.